Your 5 star hotel in Playa del Carmen! Your 5-star hotel in Playa del Carmen! 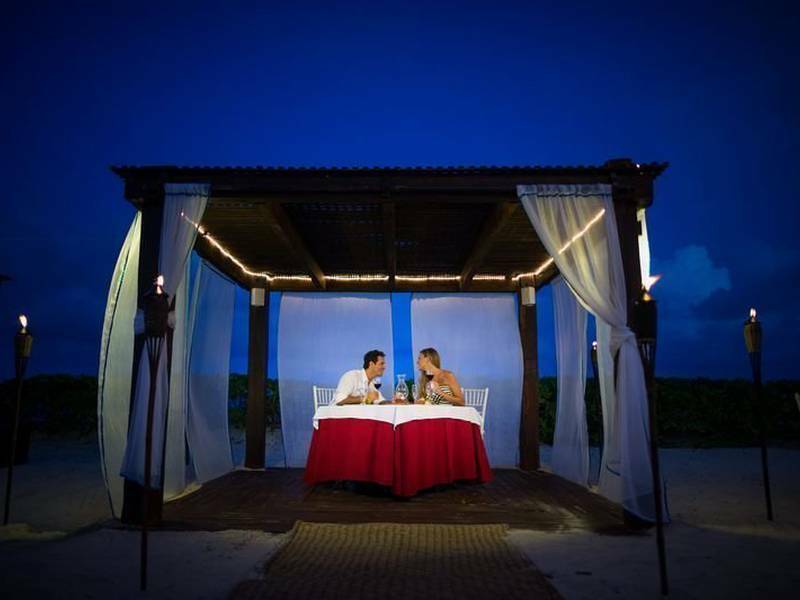 The 5-star BlueBay Grand Esmeralda Hotel is located in Playa del Carmen, and is ideal for families and couples. Surrounded by lush jungle, mangrove swamps and stunning views of the ocean, this all-inclusive hotel is truly a Caribbean paradise. The luxurious BlueBay Grand Esmeralda Hotel provides guests with a wide variety of facilities and services. Among the most popular include our private beach, three swimming pools and various sports facilities. You’ll also find an outstanding selection of food amongst our 6 restaurants, free Wi-Fi throughout and our Mini Club for children. An unforgettable tropical beach holiday is awaiting you at the 5-star BlueBay Grand Esmeralda Hotel in the Playa del Carmen. Book now and get the best price online. 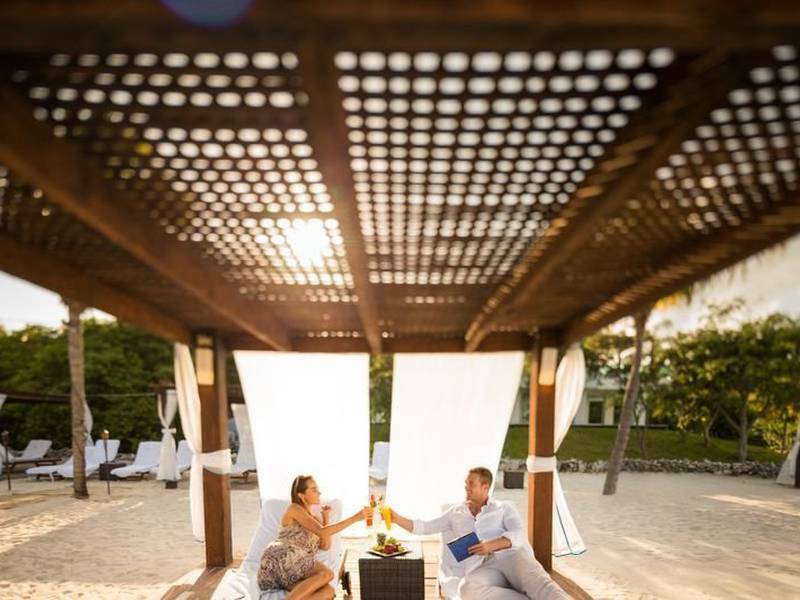 The 5-star BlueBay Grand Esmeralda Hotel offers 979 elegant and spacious rooms, each providing breathtaking views of the sea, lush gardens, or both. Our all-inclusive rooms boast air conditioning, en-suite bathroom, coffee machine, free Wi-Fi and a private balcony or terrace. The Deluxe Garden View room is spacious, offering guests the choice between 2 double beds or 1 king size bed. Elegant and finely furnished, each room provides guests stunning views of the surrounding garden area from the private balcony or terrace. Relax in the elegant and spacious Deluxe Partial Ocean View. Finely furnished and equipped with either 2 double beds or 1 king size bed, the room offers marvelous partial views of the sea and surrounding garden areas from the private balcony or terrace. Enjoy incredible views of the ocean from your private balcony or terrace in the Deluxe Ocean View room. Elegant and spacious, these rooms are finely furnished and offer either 2 double beds or 1 king size bed. The Jacuzzi Suite is perfect for couples, offering a king size bed and a private jacuzzi on the spacious terrace. Located on the upper floors, each suite boasts a lounge, dining room and an extra bathroom for optimal comfort and luxury. Treat yourself to a magnificent vacation in the Swim Up Garden View Suite. Equipped with 1 king size bed, this suite is located on the ground floor with direct access to the private pool. Also boasting a private terrace, lounge and dining room, this room defines luxury and elegance. Discover the beauty of the BlueBay Grand Esmeralda Hotel through our photo gallery. 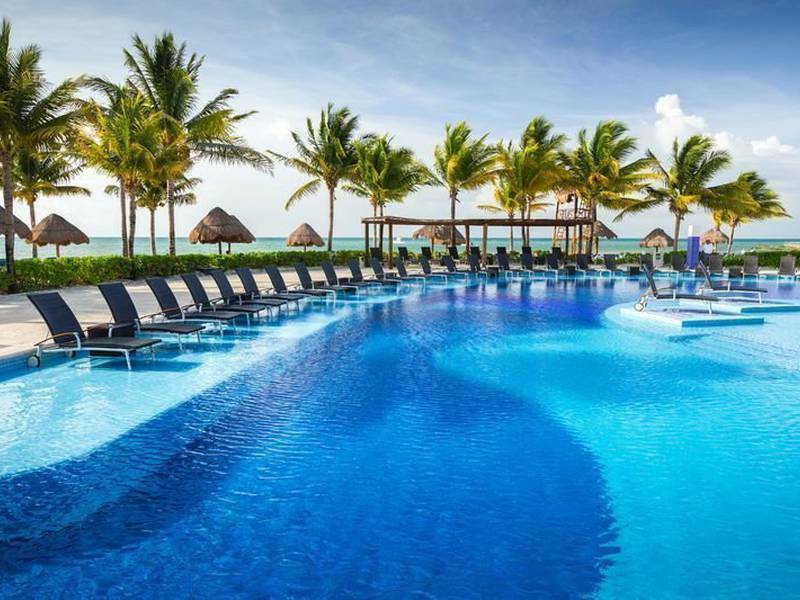 Check out all the images of this 5-star hotel in Playa del Carmen, the perfect place for your next family vacation or couples getaway. See what awaits you in this amazing Caribbean paradise. 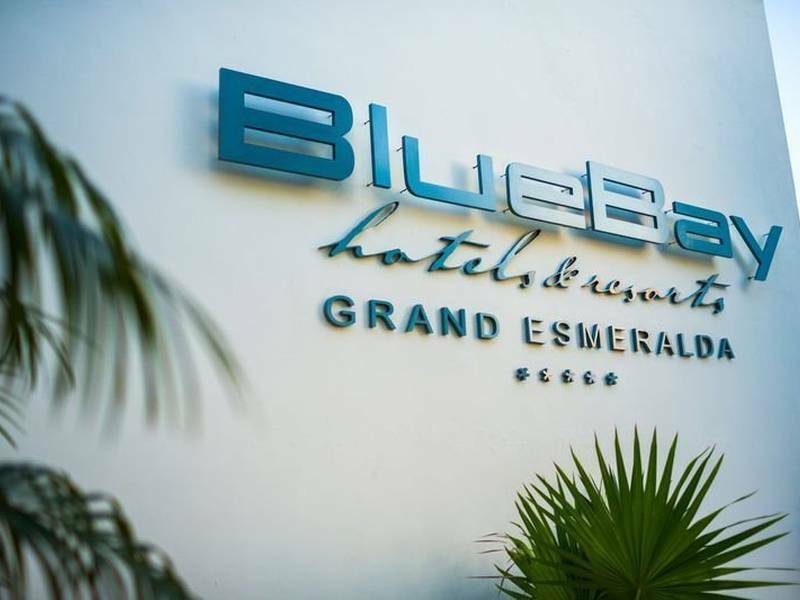 Are you in search of an exclusive promotion at the BlueBay Grand Esmeralda Hotel? Here you will find all of the great offers available at our 5-star Playa del Carmen hotel. Check out our latest promotions and be sure to book your vacation through the official website of the BlueBay Grand Esmeralda Hotel. The 5-star BlueBay Grand Esmeralda Hotel offers a wide variety of services to ensure our guests have a truly wonderful vacation. This stunning Caribbean paradise offers a private beach, three swimming pools and a full spa. For those guests looking to be more active, they can enjoy a round of golf, workout in the gym or game of tennis. The BlueBay Grand Esmeralda Hotel is also ideal for families, offering a wonderful Mini Club for children and swimming pools with separate children’s areas. Our all-inclusive resort also boasts 6 à la carte restaurants and free Wi-Fi throughout to ensure guests have an unforgettable vacation experience. Located in Playa del Carmen, the 5-star BlueBay Grand Esmeralda Hotel offers direct access to the beach. Situated in a quiet area with stunning sea views, the hotel is just 15 minutes from the enchanting city of Playa del Carmen. 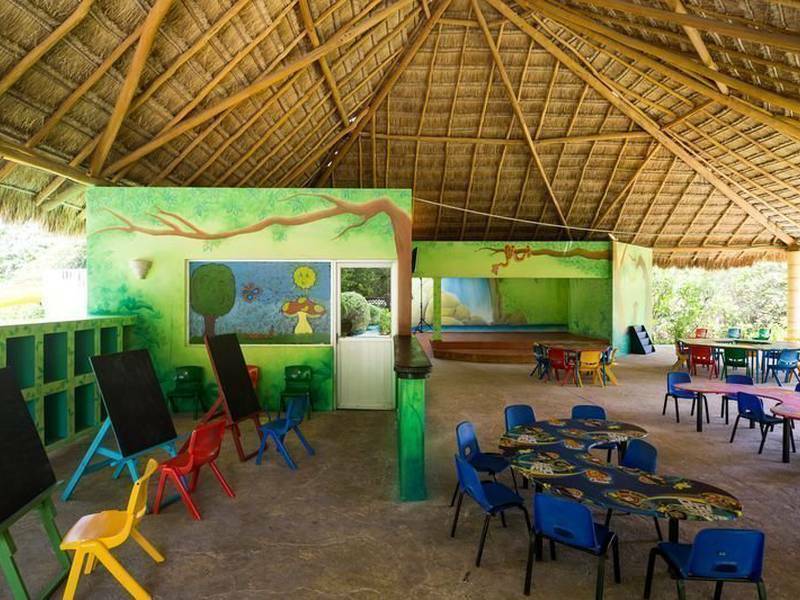 With such an ideal location, guests can also enjoy the archeological eco-park of Xcaret, the coral reefs of Cozumel and the Mayan ruins of Tulum which are all just a short drive away. Carretera Chetumal-Puerto Juarez Km. 300. Playa del Carmen. México. Ask the team at the BlueBay Grand Esmeralda Hotel any questions you may have. We are here to provide our guests with the most professional and personalized service available, so please don’t hesitate to contact us regarding reservations or any other queries. We are happy to help you. Punta Syros, S.A. de C.V.
Corporativo Almería, S.A. de C.V.
Operadora Mallorquina, S.A. de C.V. This document describes the way we collect and use the personal information you provide to us. information as well as the procedure for exercising your ARCO rights. Punta Syros, S.A. de C.V. (Hotel Bluebay Grand Esmeralda), Tirajana, S.A. de C.V. (CircleOne), both residing in Carretera Federal Chetumal Puerto Juárez Km. 300, Ejido Norte Playa del Carmen, Quintana Roo 77712, México; Corporativo Almería, S.A.
de C.V. (Hotel Blue Diamond), residing in Carretera Federal 307 Chetumal Puerto Juárez Km. 298 816, Punta Maroma, Playa del Carmen, Quintana Roo 77710, México; Operadora Mallorquina, S.A. de C.V. (Hotel BelleVue Beach Paradise), residing in Blvd. Kukulcan Km. 19.5, Zona Hotelera, Cancún, Quintana Roo 77500; are responsible for the treatment (use of) your personal data. 2) Our Data Protection Department. Address: Carretera Federal Chetumal Puerto Juárez Km. 300, Ejido Norte, Playa del Carmen, Quintana Roo, C.P. 77712, México. 3) What purposes do we collect and use your personal data for? cost collection. To comply with the obligations and commitments made to you. 4) What personal information do we collect and from where? -­‐When you visit our website or use our online services. -­‐When you provide them to us personally. -­‐When we get information through other publicly available sources that are permitted by law (telephone or work directories, websites, etc.). Medical and / or psychological history (health status, conditions and / or history) Criminal record. ourselves to making sure that it will be treated under strict security measures to ensure confidentiality.